Have you ever played the game of Pin the Tail on the Donkey? 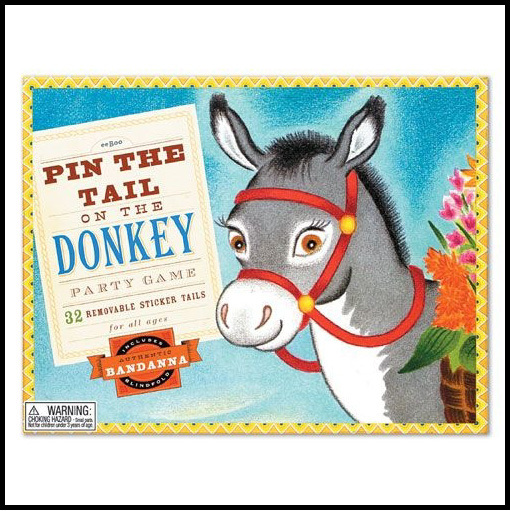 It is a fun group game where someone posts a picture of a tail-less donkey, then people take turns trying to tack its tail back on the proper place, a task at which few participants succeed. That is because the real enjoyment of the game comes from watching when players, spun and blindfolded earlier, miss the spot on the donkey, landing the tail on random, hilarious sites instead. Although humorous as a game, there are situations in life when missing the mark is not at all fun and games. This is especially true when sharing our faith. Do you ever feel like the truths of God you try to sow or ‘pin’ into another person’s life miss the mark? Have you ever experienced times, where it seemed like the enemy so spun the circumstances around, that it seemed like the words bounced right off and fell to the ground? As followers of Christ, we must be ready in season and out to share His truth in love. So often when we do, though, those same truths seem to fall on deaf ears. When we rarely see a harvest for our labor, it is easy to start concluding we missed the mark, from inadequate sowing. When I read this, I imagine a canvas still life showing a fine silver goblet surrounded by luscious golden apples. Words of truth spoken in such a timely, Spirit-directed way that they reap a harvest as lovely as a masterpiece. Sadly, that is rarely the case anymore. Do you see this happening in your efforts to share the gospel? The precious words of Truth seem to fall on the street, left for trampling underfoot. Does the lack of receptivity tempt you to give up? If rejected, should we continue to cast the treasured pearls of God’s word, as if to swine? We cannot and must not give up on anyone, but we do need to understand the mission. To explain, I’ll take us back to the game of Pin the Tail. First, it is never our job to decide when, where, or how a person needs a word of truth. Our only responsibility is in the sowing, or for illustration purposes, the pinning of the Word. Also, we must remember that although it can seem like it, we are not blindfolded or alone, as we go about this call. The Holy Spirit is always there to direct and give us the boldness needed in every situation. He is the One completely capable of effecting the intended purposes of the Word, despite the devil’s attempt to spin things in a wrong direction. 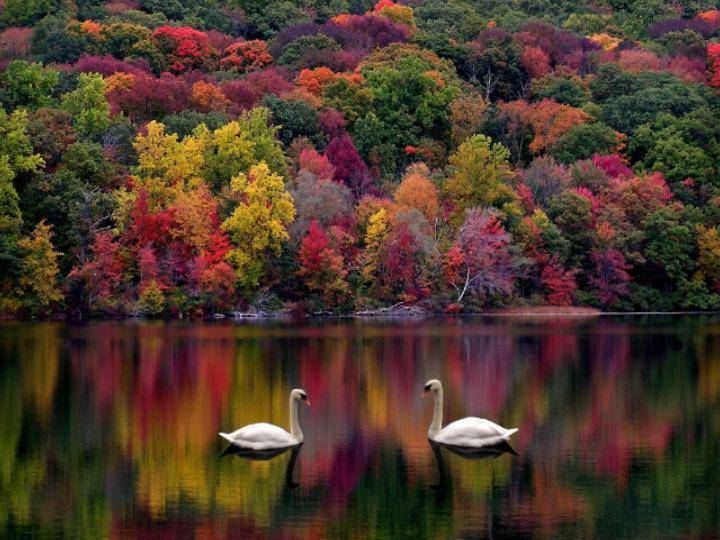 Even when we do not see results, we can rest assured that the Word does not come back void. We always err in assuming that what we see now is the reality of what will be in eternity. Doing so only sets the stage for discouragement or the temptation to take matters into our own hands, both of which are futile. Discouragement weakens our own faith and self-effort only pins truth further away from the intended goal of winning people to Christ. Finally, for effective truth-pinning, we don’t wear blindfolds, but actually could use blinders, of sorts. Anything that would enable us to shift the focus from an outside monitoring of truth’s effectiveness, to an inward inspecting of our own obedience. Willingness is all that God asks of us. He is Lord of the harvest and the One who gives the increase. The word of God is NOT the tail, even though that is exactly what the enemy deceives people into believing. That God’s word is irrelevant, unnecessary. Jesus is Author, Finisher, the living Word. He is Alpha, Omega and lifted high above all. We are the body of Christ, but He is always the Head. Like any other, this attempt at sharing truth may miss the mark. However, God knows how to pin His truth to accomplish His purposes, and as such, will use even this. That is because only He knows how to reach each of us lost (by nature, clueless as a donkey?) sheep! This entry was posted in Random Thoughts and tagged devotional, pin the tail on the donkey, salvation, Truth, witnessing on March 2, 2015 by heavenlyraindrops. I have stony places in my heart. I justify these pride-filled inclinations. It is absolute and unbending. Truth, written in stone, is never ending. But truth warmed by love is best. Hardness impairs truth’s gentle out flowing. Its embrace, annihilated by stones stacked for throwing. Christ, the Truth, is our loving example. Willingly, He brought light unto chaos. The Rock, struck so that living water could reach us. Out of adoration and allegiance to God’s word, it is all too easy to look down on those who don’t. To walk in a hardened self-righteousness toward others. God does not tolerate sin, but lest we forget, that includes our sin, too. I am all too quick to make stony, judgmental conclusions about the shortcomings of others. By doing so, I refuse to let mercy guide my willingness to love. My stony heart runs the risk of growing cold. Out of displeasure over their sins, stony hearts repel and reject others. Soft hearts, however, invite and embrace others, despite their flaws, remembering that we are all sinners in need of God’s grace. Mercy requires that we love and believe the best for others. 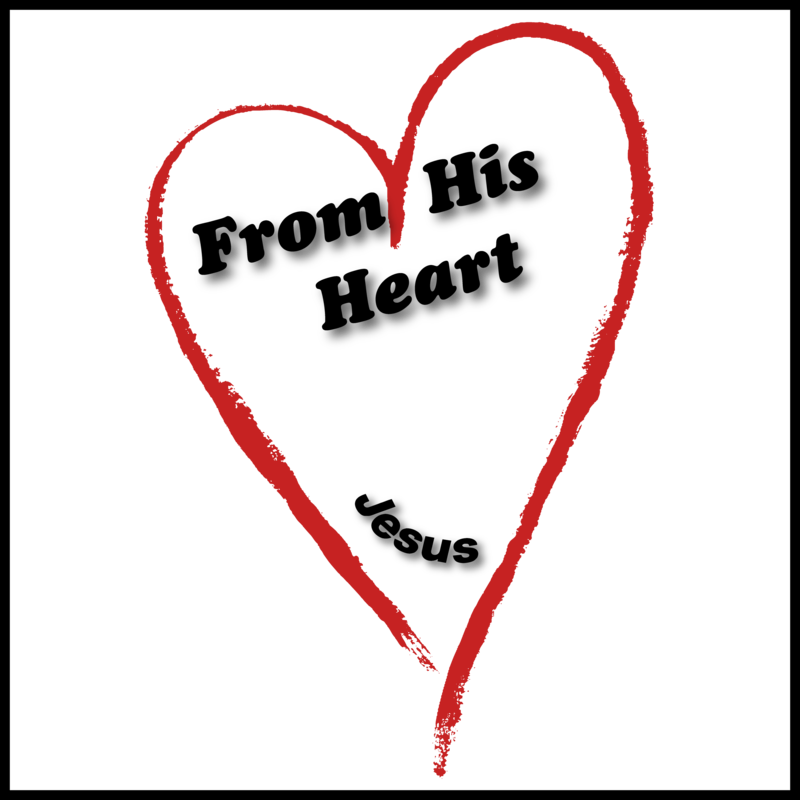 We never condone or compromise on truth, but by recognizing our own sin, are able to reach out in love. Mercy causes us to refrain from focusing on the flaws of others and instead take it all to the throne of God. Mercy lovingly draws near, then waits on the Lord for opportunities to share His uncompromising truth. The law was given on stone. It demanded perfection. Through Christ, though, the veil was torn, splitting asunder the barriers of imperfection and making the living of the law possible. Christ’s sacrifice on our behalf broke through the unattainable requirements of the law, thereby offering grace to the lost and rejected. Christ died for all of our sins. He is no respecter of persons, but wants everyone to come to the saving knowledge of His truth. We all have areas in our hearts that are prone to hardness. 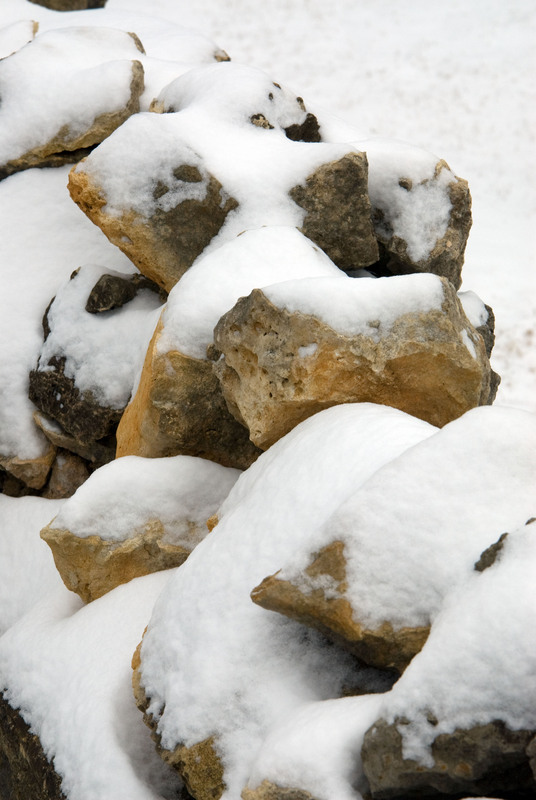 However, stones block our nearness to God. They prevent His love from flowing forth, because stony places cluster as rocks; rocks that are all too easy to pick up and throw at one another. Lord, don’t let me become a vessel so hardened that I am closed off from loving others. Break apart my stoniness. Use the broken shards to collect and pour out living water. Keep my heart pliable. Don’t let me remain in stony condemnation of others. Remind me that I too am a sinner, ever in need of Your grace. This entry was posted in Random Thoughts and tagged conclusions, God, judging, loving, merciful, photo, rocks, sin, stony, Truth on September 29, 2014 by heavenlyraindrops. This photo is very special because one of my grandsons sat on my lap to look into the camera’s viewfinder, then after I adjusted the settings, he snapped the picture. Click on photo to enlarge. For similar posts, follow this link to Fireworks Explosion. 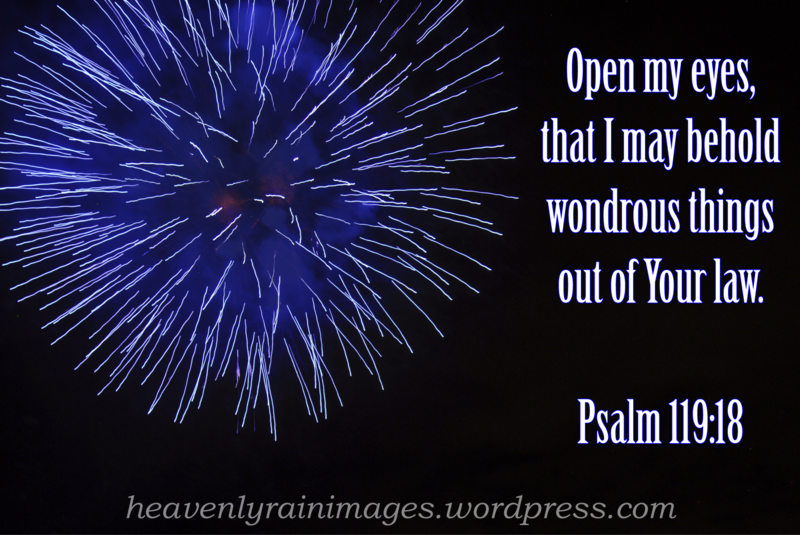 This entry was posted in Fireworks Explosion and tagged Christian images, Fireworks, photography, Truth, word of God on October 19, 2013 by heavenlyraindrops. Truth plants in my life. Grace penetrates in my soul. Faith sprouts in my being. Peace rains in my mind. Hope buds in my dreams. Worship grows in my spirit. Joy spreads in my existence. Love blossoms in my heart. Righteousness stands in my eternity. 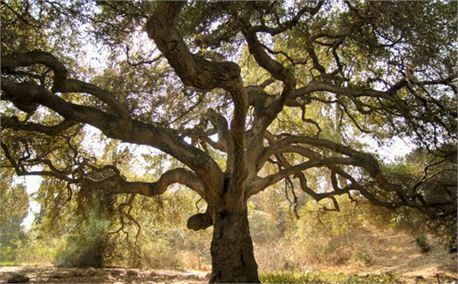 This entry was posted in Poetry Corner and tagged Bible, Christian, eternity, God, oaks of righteousness, poetry, salvation, trees, Truth on April 4, 2013 by heavenlyraindrops. Disappointments keep stealing my joy. Nightmares keep chasing away sweet dreams. Turmoil keeps wrecking my peace. Struggles keep sabotaging any gains. Pride keeps thwarting God’s plans. Rebellion keeps refusing any change. Yet, Your Word keeps prevailing. Truth keeps lifting my head. Mercy keeps cleansing away all shame. Majesty keeps opening my eyes. Creation keeps shouting out Your name. Grace keeps steadying my mind. Hope keeps pouring down again like rain. If you enjoyed this poem, you might like others in the category Poetry Corner. Blessings always! This entry was posted in From His Heart, Poetry Corner and tagged encouragement, hope, inspiration, Jesus, poetry, prodigal, Psalm 3:3, rebellion, Truth on February 25, 2013 by heavenlyraindrops.